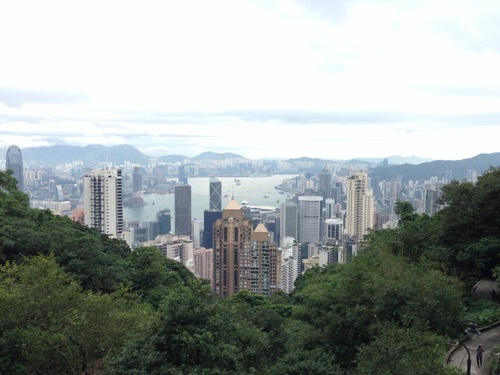 Victoria Peak is one of the green places that Hong Kongers evoke whenever complaints of the island being made of skyscrapers and concrete arise. As it also stands as the highest peak on the island, I knew I would have to check it out. 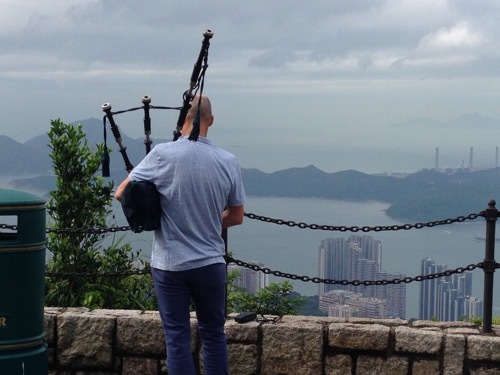 Hong Kong is built at the foot of mountains, and as such the city is incredibly hilly – so much so that there are more than one set of open-air escalators running alongside the streets to take residents and tourists to the higher parts or town. This meant a good start to hiking, but a slow start to my run. 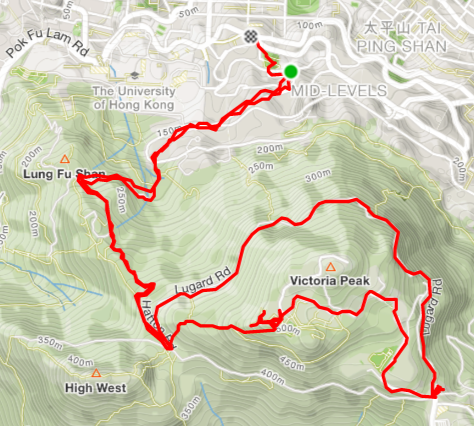 After making my way through the hills of the city I got to the path up to Victoria Peak, The path going up is very green and thoroughly enjoyable, and I’m definitely not the only one who thought so – there were many other runners and walkers on their way up to enjoy the views and the fresh air. Looks like it’s a good place for all kinds of activities. There’s also a tram and road access up to the ‘peak’, so people of all abilities can make it up there to enjoy the views. You finally made it! Is it everything that you thought it would be? It looks beautiful.